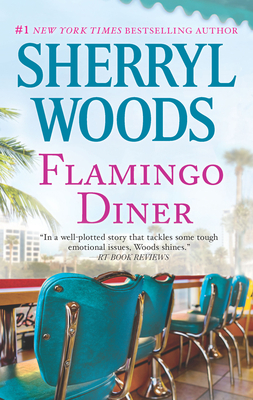 Returning home has never been so bittersweet in this acclaimed novel from #1 New York Times bestselling author Sherryl WoodsFlamingo Diner has always been a friendly place where everyone knows your name. Unfortunately, in the small town of Winter Cove, Florida, it is also the place where everyone knows everything about you. As a teenager, Emma Killian didn't recognize what a remarkable business her family had created, and so she moved away.Now her father's tragic death has brought her home to face a mountain of secrets, debts and questions about why and how her beloved father died. As Emma grapples with her out-of-control family, the responsibility of keeping Flamingo Diner afloat and a pair of well-meaning senior-citizen sleuths, she finds support from an unlikely source.Onetime bad boy Matt Atkins is now the Winter Cove police chief. Matt has always had a penchant for trouble and an eye for Emma. Now it seems he's the only one who can help Emma discover the answers to her questions...and give her a whole new reason to stay home.